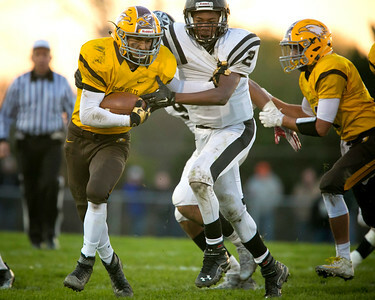 Daryl Quitalig - For Shaw Media Jacobs defensive back Jukauri Bland (25) is unable to defend Fenwick wide receiver Mike O'Laughlin's (3) 89-yard touchdown reception in the first quarter of an IHSA Class 7A quarterfinal playoff football game against No. 4 Fenwick at Jacobs High School Saturday, Nov. 12, 2016. Jacobs lost, 28-21. Daryl Quitalig - For Shaw Media Jacobs running back David Butros (34) attempts to fight off a tackle by Fenwick linebacker Jason Ivery (2) in the third quarter of an IHSA Class 7A quarterfinal playoff football game against No. 4 Fenwick at Jacobs High School Saturday, Nov. 12, 2016. Jacobs lost, 28-21. 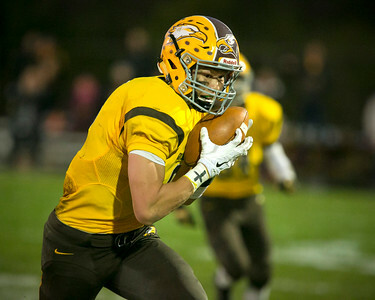 Daryl Quitalig - For Shaw Media Jacobs wide receiver Trevor Loewen (8) catches at 17-yard touchdown reception in the first quarter of an IHSA Class 7A quarterfinal playoff football game against No. 4 Fenwick at Jacobs High School Saturday, Nov. 12, 2016. Jacobs lost, 28-21. 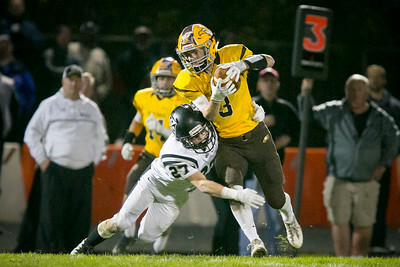 Daryl Quitalig - For Shaw Media Jacobs wide receiver Trevor Loewen (8) makes a 34-yard reception in the fourth quarter of an IHSA Class 7A quarterfinal playoff football game against No. 4 Fenwick at Jacobs High School Saturday, Nov. 12, 2016. Jacobs lost, 28-21. Daryl Quitalig - For Shaw Media Jacobs defensive back Aidan Ludlum (3) celebrates catching an interception thrown by Fenwick wide receiver Mike O'Laughlin in the fourth quarter of an IHSA Class 7A quarterfinal playoff football game against No. 4 Fenwick at Jacobs High School Saturday, Nov. 12, 2016. Jacobs lost, 28-21. 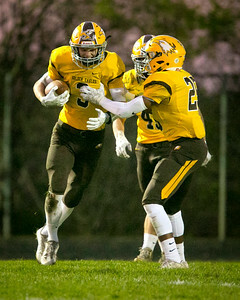 Daryl Quitalig - For Shaw Media Jacobs wide receiver Trevor Loewen (8) watches the final seconds tick away in the fourth quarter of an IHSA Class 7A quarterfinal playoff football game against No. 4 Fenwick at Jacobs High School Saturday, Nov. 12, 2016. Jacobs lost, 28-21. Daryl Quitalig - For Shaw Media Jacobs Aidan Ludlum (3) catches a 17-yard reception in the fourth quarter of an IHSA Class 7A quarterfinal playoff football game against No. 4 Fenwick at Jacobs High School Saturday, Nov. 12, 2016. Jacobs lost, 28-21. 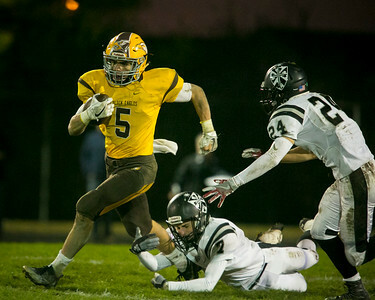 Daryl Quitalig - For Shaw Media Jacobs running back Loren Strickland (5) runs 24 yards in the fourth quarter of an IHSA Class 7A quarterfinal playoff football game against No. 4 Fenwick at Jacobs High School Saturday, Nov. 12, 2016. Jacobs lost, 28-21. Daryl Quitalig - For Shaw Media Jacobs running back Loren Strickland (5) runs 45 yards on a kickoff return the fourth quarter of an IHSA Class 7A quarterfinal playoff football game against No. 4 Fenwick at Jacobs High School Saturday, Nov. 12, 2016. Jacobs lost, 28-21. 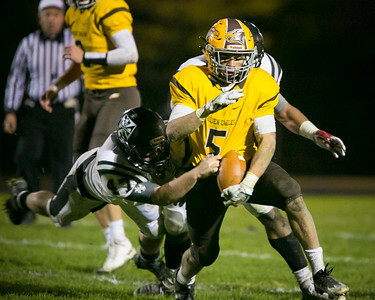 Daryl Quitalig - For Shaw Media Jacobs running back Loren Strickland (5) fumbles the ball in the fourth quarter of an IHSA Class 7A quarterfinal playoff football game against No. 4 Fenwick at Jacobs High School Saturday, Nov. 12, 2016. Jacobs lost, 28-21. 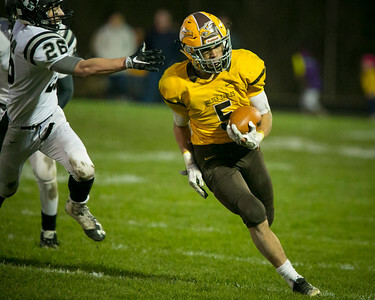 Jacobs running back Loren Strickland (5) fumbles the ball in the fourth quarter of an IHSA Class 7A quarterfinal playoff football game against No. 4 Fenwick at Jacobs High School Saturday, Nov. 12, 2016. Jacobs lost, 28-21.